Another design I’ve been working on as part of my degree work; exploring the organic approach to my work whilst still giving my art a purpose. 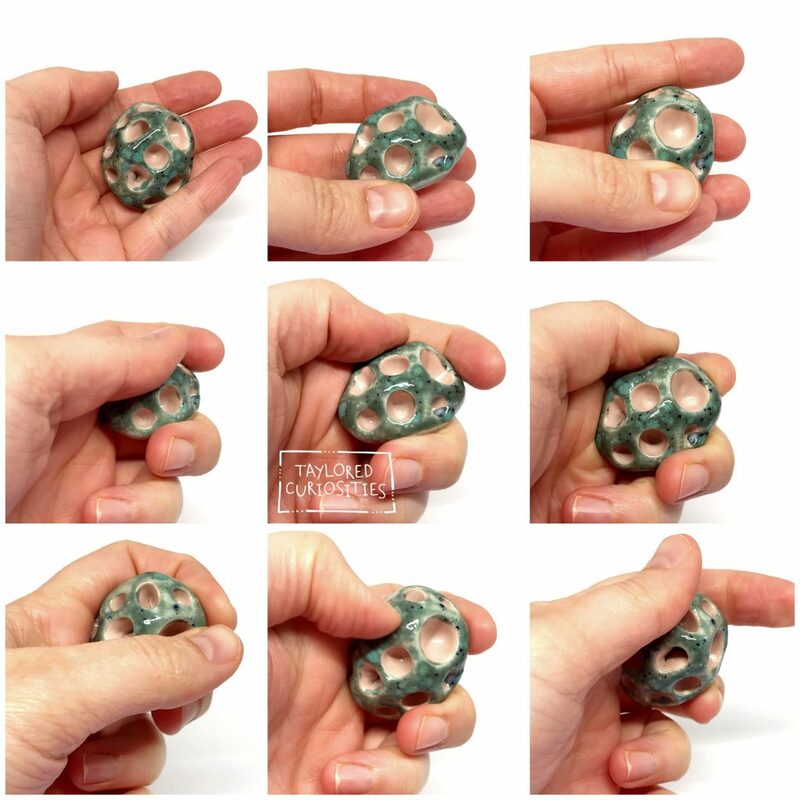 Stimming or self-stimulation, is the repetition of physical movements, sounds, or repetitive movement of objects. It is something that many individuals including those with developmental disabilities such as autistic people/people with autism spectrum disorders find very helpful to calm them in high anxiety situations. These stones are one aspect of the body of ceramic work that I hope to continue developing to support people who are struggling with their anxiety each day. 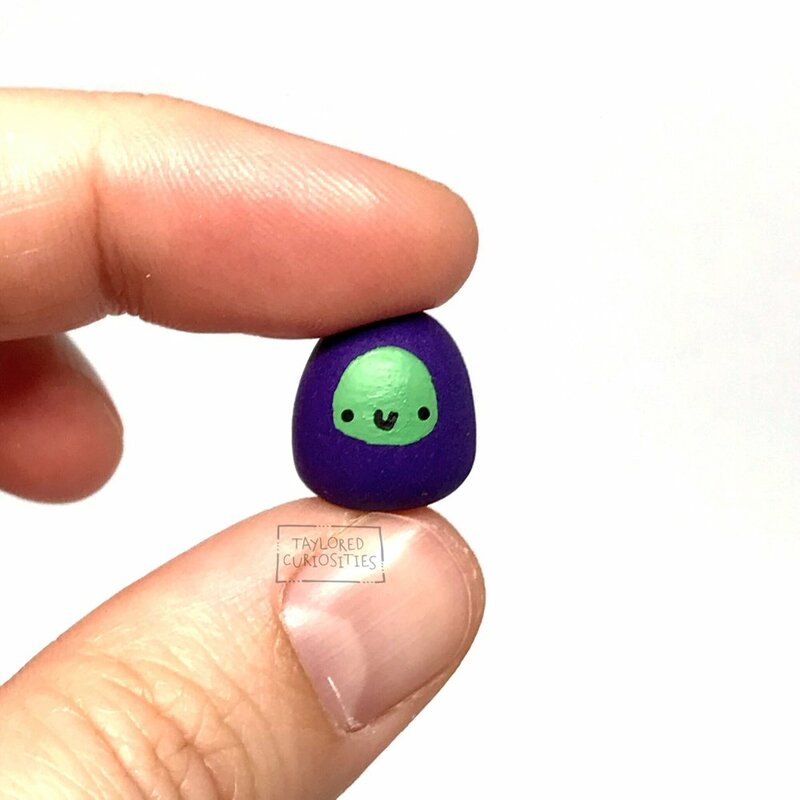 Each stone comes with a randomly coloured Worry Bean. 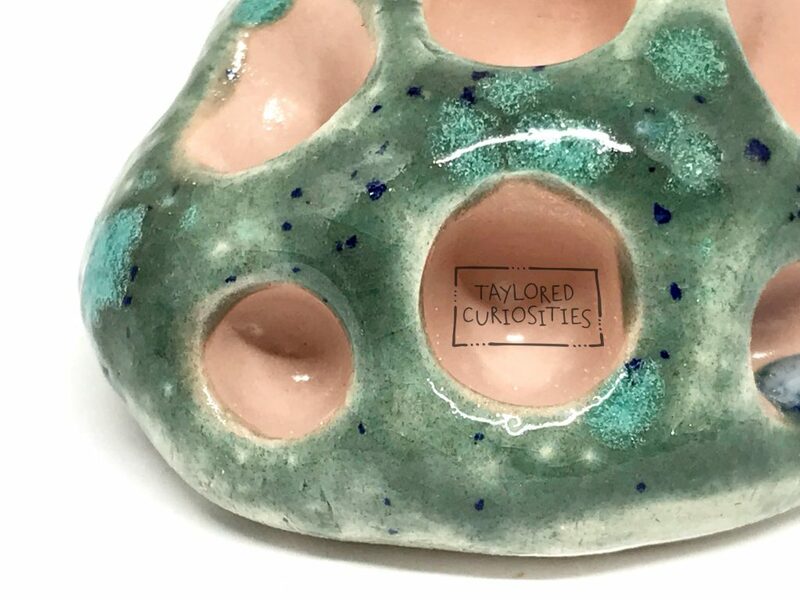 All design, story and images are fully copyright protected © Taylored Curiosities. Not to be reproduced or replicated for any reason without explicit written consent from the artist.